A pedestal sphere fountain can add elegance and personality to your home. Although these fountains can be used outdoors, they are equally as beautiful indoors. Similar to the second picture, a different spin on the classic pedestal is the floating sphere. These can include different designs ranging from an absolute black granite sphere to a whimsical dolphin floating sphere fountain with black limestone. These different handcrafted designs offer endless styles which ensure that it will match with any home decor. Wall fountains are another beautiful fountain style to add to your home. 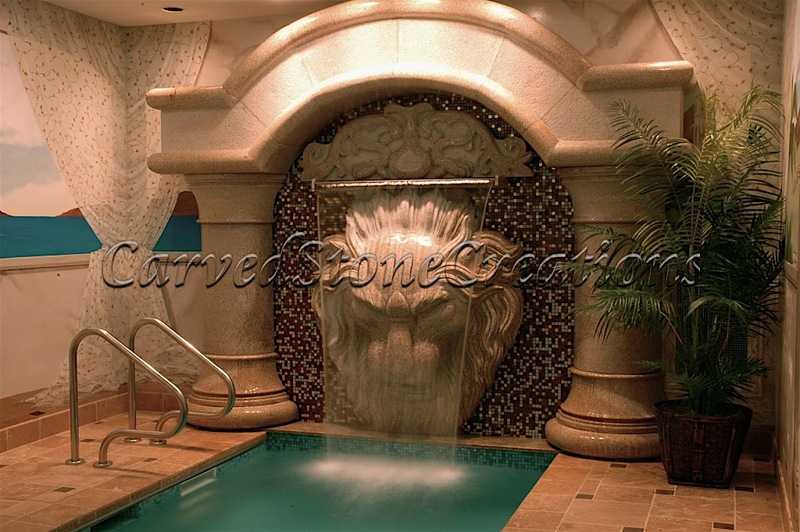 There are many ways to incorporate wall fountains, whether its a lion design overlooking your pool or an antique beige venato marble fountain in your living room. These handcrafted wall fountains give your home a classical feel while the soft subtle sound of water trickling creates a relaxing environment. 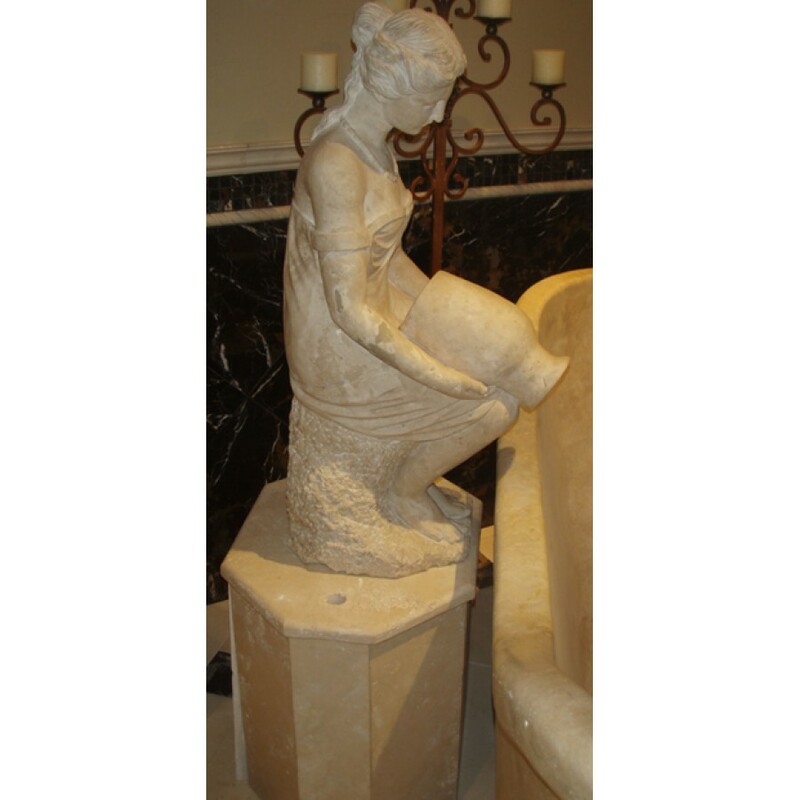 Statuary fountains are another wonderful addition to the interior of your home.These stone fountains can be hand carved into many different figurative designs which allows you to customize your fountain and make your visions a reality. 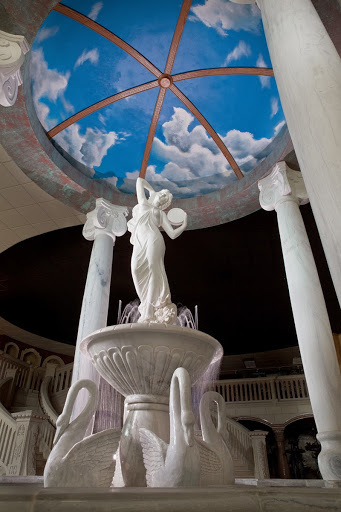 The design options range from a white marble column with a handcarved statue to a goddess of the pool tub filler. The versatile statuary fountain designs can be used in a variety of ways, all in which add an artistic touch to your home. 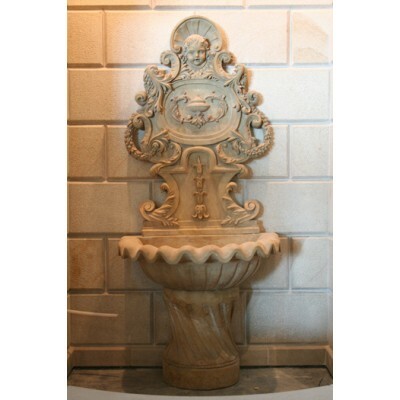 Are you interested in incorporating a fountain into your home or have a special design in mind? Contact us today!